We’ve all asked ourselves “how can I get rich?” and started searching books and articles for answers. 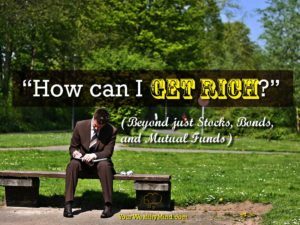 Most likely, we found “save a little money every paycheck and invest it” and how investing in stocks, bonds, and mutual funds over time can someday make you wealthy (I teach that in several of my articles as well). The question now however, is that are those the only things you can or should invest on? 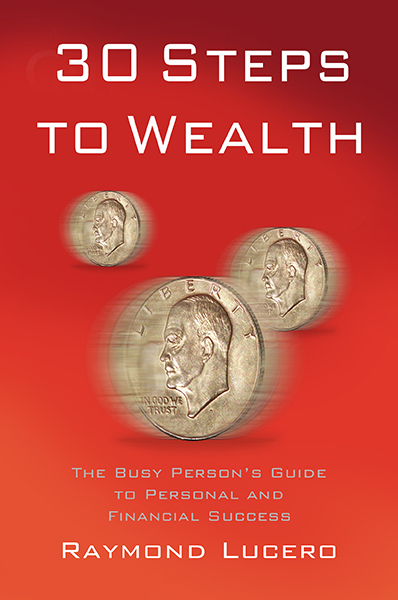 To take things further, did most, if not all wealthy people earn their wealth through them alone? Well, one bestselling author and researcher who surveyed and interviewed hundreds of millionaires say they didn’t. 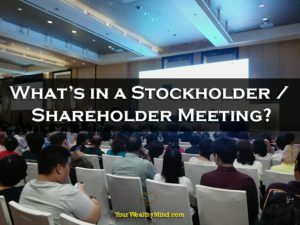 What’s in a Stockholder / Shareholder Meeting? Whenever you read about stocks and shares, you’ll often come across the term “voting rights.” If you’re wondering where and how you’ll use them, then you should probably join a shareholder meeting! Although every company or organization will be different, this is what you can expect. Ideas change lives and sometimes just a little bit of inspiration goes a long way. 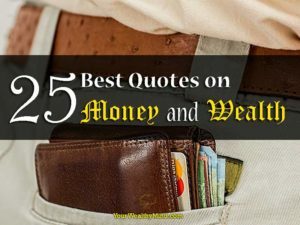 If you want a little push to jump start your way to prosperity, then here are 25 amazing quotes on money to inspire you! Joe Biden said “Don’t tell me what you value, show me your budget, and I’ll tell you what you value.” Some people work hard to earn money and they spend it all on liquor, cigarettes, or even illegal drugs. Others work hard to pay for things that enrich their lives like travel, self-education and self-improvement. In our limited lifespans, what can we do to make the most of it? What should we do to maximize our achievement using the money that we earn? 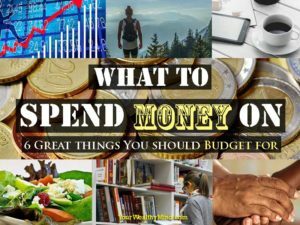 Here are a few ideas on what to spend money on! *Note: I won’t include necessities like food and water or utilities like electricity and internet here. These are the things you should spend money on after you’ve paid all your living expenses. Will Rogers said that “it isn’t what we don’t know that gives us trouble, it’s what we know that ain’t so.” Growing up, we learn many habits that will last us all our lives and, while some habits can bring happiness and financial success over time, others however, slowly lead to ruin. What can we do about those? Simple! We identify the bad habits and THEN we learn better habits to take their place! 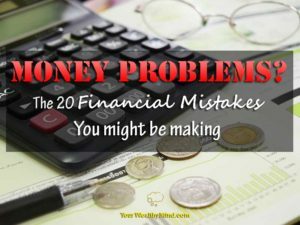 If you want to know some of the worst financial mistakes that you might be making then read this list to avoid them and the money problems that they bring!